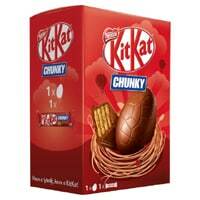 You can get yourself a free Kit Kat Easter Egg. Follow our link, register with your details and then get this offer right away before it ends. Click on “GET IT HERE” button, register on TopCashback then buy this product and upload the receipt and you will get full cashback.